In modern terms, a merchant bank is a firm or financial institution that invests equity capital directly in businesses and often provides those businesses with advisory services. A merchant bank offers the same services as an investment bankJobsBrowse job descriptions: requirements and skills for job postings in investment banking, equity research, treasury, FP&A, corporate finance, accounting and other areas of finance. These job descriptions have been compiled by taking the most common lists of skills, requirement, education, experience and other, however, it typically services smaller clients and makes direct equity investments in them. Merchant banks mainly work with small-scale enterprises that are unable to raise funds through an initial public offeringInitial Public Offering (IPO)An Initial Public Offering (IPO) is the first sale of stocks issued by a company to the public. Prior to an IPO, a company is considered a private company, usually with a small number of investors (founders, friends, families, and business investors such as venture capitalists or angel investors). Learn what an IPO is (IPO) by providing mezzanine financingMezzanine FundA mezzanine fund is a pool of capital which invests in mezzanine finance for acquisitions, growth, recapitalization or management/leveraged buyouts. In the capital structure of a company, mezzanine finance is a hybrid between equity and debt, bridge financing, equity financing, and corporate credit products. They also issue and sell securities on behalf of corporations through private placements to refined investors who require less regulatory disclosure. Large merchant banks place equity privately with other financial institutions by acquiring a considerable share of ownership from companies with a significant potential for high growth rate to seal the gap between venture capital and public stock. The history of merchant banks can be traced back to Italy in the late Medieval times as well in France in the 17th and 18th centuries. Merchant banks began operating as organized money marketsMoney MarketThe money market is an organized exchange market where participants can lend and borrow short-term, high-quality debt securities with average maturities of one year or less. consisting of merchants financing the transactions of other merchants. French merchant Marchand Banquer invested all his profits by integrating the banking business into his merchant activities and became a merchant banker. In the United Kingdom, merchant banks started in the early 18th century. The oldest merchant bank in the United Kingdom is Barings Bank, which was established by a German-originated family of bankers and merchants. It was founded in 1762 and was the second oldest merchant bank in the world after Berenberg Bank. 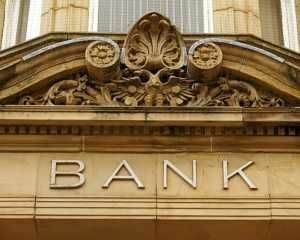 The bank was, at one time, referred to as the sixth great European power after Germany, Russia, United Kingdom, Austria, and France after it helped finance the US government during the 1812 War. The growth of trade and industries in the 19th century led to the emergence of merchant banks in the United States. The first merchant banks in the United States were JP Morgan & Co and Citi Bank. The industry was mainly dominated by German-Jewish immigrant bankers and Yankee houses with close ties to expatriate Americans who settled in London as merchant bankers. However, with the growth of the financial world, corporations overshadowed family-owned businesses in the banking business. The corporations included merchant banking as one of their areas of interest, a characteristic that banks hold until today. Large companies often employ the services of merchant banks in acquiring capital through the stock market. Equity underwritingUnderwritingIn investment banking, underwriting is the process where a bank raises capital for a client (corporation, institution, or government) from investors in the form of equity or debt securities. This article aims to provide readers with a better understanding of the capital raising or underwriting process is achieved by evaluating the amount of stock to be issued, the value of the businessPrivate Company Valuation3 techniques for Private Company Valuation - learn how to value a business even if it's private and with limited information. This guide provides examples including comparable company analysis, discounted cash flow analysis, and the first Chicago method. Learn how professionals value a business, the use of proceeds, and the timing of issuance of the new stock. Merchant banks handle all the necessary paperwork and liaison with the appropriate marketing division to advertise the stock. Merchant banks help in processing loan applications for short and long-term credit from financial institutions. They provide these services by estimating total costs involved, developing a financial plan for the entire project, as well as adopting a loan application for commercial lenders. Also, they assist in choosing the ideal financial institutions to provide credit facilities and act on the terms of the loan application with the financiers. Merchant banks also ensure the lender’s willingness to participate, organize bridge finance, and engage in legal formalities regarding investment to be approved and checking the working capitalNet Working CapitalNet Working Capital (NWC) is the difference between a company's current assets (net of cash) and current liabilities (net of debt) on its balance sheet. It is a measure of a company’s liquidity and its ability to meet short-term obligations as well as fund operations of the business. The ideal position is to requirements. Merchant banks provide portfolio managementPortfolio ManagerPortfolio managers manage investment portfolios using a six-step portfolio management process. Learn exactly what does a portfolio manager do in this guide. Portfolio managers are professionals who manage investment portfolios, with the goal of achieving their clients’ investment objectives. services to institutional investors and other investors. They help in the management of securities to enhance the value of the underlying investment. Merchant banks may assist their clients in the purchase and sale of securities to help them attain their investment objectives. Although there is somewhat a thin line between traditional merchant banks and investment banks, the financial institutions differ in several ways. First, merchant banks serve small-scale companies that may not be big enough to attract funding from venture capitalists and other large investors. Merchant banks offer such companies creative credit products such as bridge financing, equity financing, and mezzanine financing. They place equity with other financial institutions and take ownership of small but promising companies. Investment banksList of Top Investment BanksList of the top 100 investment banks in the world sorted alphabetically. Top investment banks on the list are Goldman Sachs, Morgan Stanley, BAML, JP Morgan, Blackstone, Rothschild, Scotiabank, RBC, UBS, Wells Fargo, Deutsche Bank, Citi, Macquarie, HSBC, ICBC, Credit Suisse, Bank of America Merril Lynch, on the other hand, focus on underwriting and selling securities through initial public offerings (IPO) and share offerings. Unlike merchant banks that focus on small companies with potential for growth, investment’s bank clientele comprises large companies with enough resources to finance the sale of securities to the public. Investment banks advise their clients on mergers and acquisitionsMergers Acquisitions M&A ProcessThis guide takes you through all the steps in the M&A process. Learn how mergers and acquisitions and deals are completed. In this guide, we'll outline the acquisition process from start to finish, the various types of acquirers (strategic vs. financial buys), the importance of synergies, and transaction costs, buyouts, and capital restructuring, among other services. Traditional merchant banks mainly focus on international financing activities including trade finance, foreign corporate investing, and foreign real estate investment. Some of these activities may be shared with investment banks, but there are other functions like issuing letters of credit and international funds transfer that are predominantly carried out by merchant banks. Investment banks focus on raising funds for corporations and governments and issuing debt or equity on the market. This is a transition from their traditional roles of underwriting and selling securities. Investment banks also help in mergers and acquisitions as well as buying and selling large companies. DebentureDebentureA Debenture is an unsecured debt or bonds that repay a specified amount of money plus interest to the bondholders at maturity. A debenture is a long-term debt instrument issued by corporations and governments to secure fresh funds or capital. Coupons or interest rates are offered as compensation to the lender.